Hello, I hope our articles have been very helpful so far? I have literally taken out time to elate you with an interesting topic today, a topic that will clear the doubt on your mind of the possibility of having privacy on your WhatsApp status. At the end of this article, you will have learned how to set status privacy on WhatsApp. First off, what is WhatsApp? I am sure most of us already know what WhatsApp is, but just in case you are new to social media and messaging apps. Whatsapp is a messaging application that lets its users communicate and share information through different means like messages, videos, pictures and even voice notes and documents, you can share with individuals or groups. Whatsapp approximately records 450 million monthly average users and this is because of its effectiveness and amazing features. N/B: Whatsapp uses the Internet (data) for connectivity. Setting status privacy on WhatsApp can actually be approached from different perspectives. 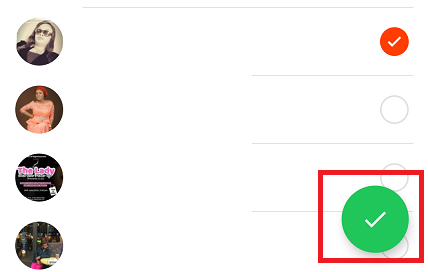 Let me explain further, WhatsApp status privacy has features that can give you different options on how to set your status privacy, I will give you the breakdown options. 1. This option is where you can allow all your contacts to view your WhatsApp status, this option comes as default status privacy on WhatsApp. 1. You can set it in a way that only selected contacts from your contact list can view your WhatsApp status. 1. You can choose to share with all your contacts except selected contacts that you do not want to view your WhatsApp status. 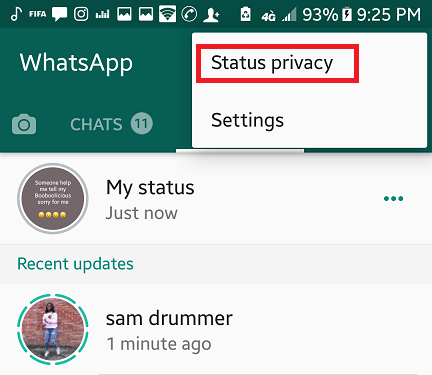 I had to list out these options provided by WhatsApp before I show you how to set status privacy on Whatsapp so that you would make up your mind on what status privacy option you would want to apply to your WhatsApp status. Let’s proceed to the steps on how to set status privacy on Whatsapp. 1. Launch Whatsapp application on your device. 3. Tap the three vertical dots at the top right of your screen. 4. Tap the status privacy option. 5. Choose which option you prefer most as earlier explained in this article. N/B: In step 5 the first option you get is “contacts” meaning that all your contacts can view your WhatsApp status. The second option is “my contacts except” meaning that you’ll select the contacts you do not want to share with. The third option is “only share with” meaning that you have to select the contacts you want to share with. 6. Tap on the marked icon. It will process and activate immediately. A: Yes, you can add or remove any contacts at any point you wish to. Q: How long will contacts I block from viewing my status remain blocked? A: For as long as you could imagine. If you want people you blocked to be able to view your status again you will have to unblock them.